Woburn, MA (July 8, 2014) – Tocci Building Companies (Tocci), a Boston-area construction manager and recognized leader in virtual design and construction solutions, participated yesterday in the official groundbreaking ceremony for Claremont Companies’ Hilton Homewood Suites in Brookline, MA. Tocci will work with architects Group One Partners, Inc. and R.W. Sullivan Engineering to deliver the 130-key, 97,775 SF extended-stay hotel to Claremont Companies in December of 2015. 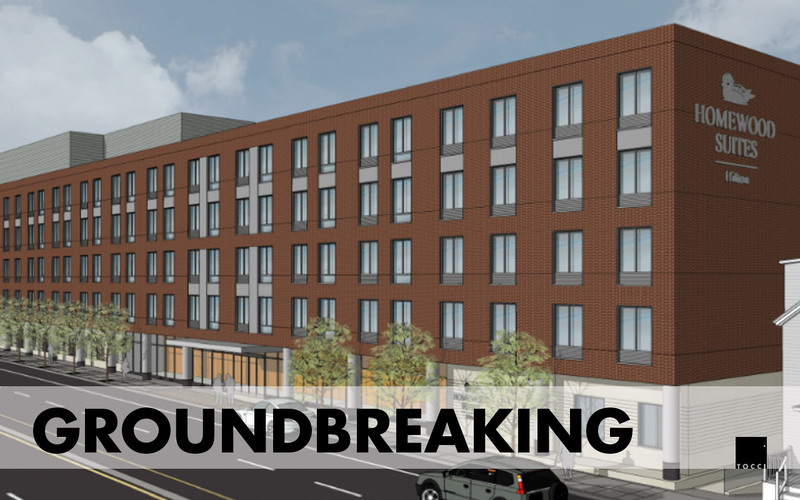 The project is conveniently located adjacent to public transportation, and will provide much-needed hotel accommodations to the City of Brookline. While the location is an asset to the finished hotel, the tight site’s adjacency to active MBTA tracks and a community park adds complexity to construction logistics. 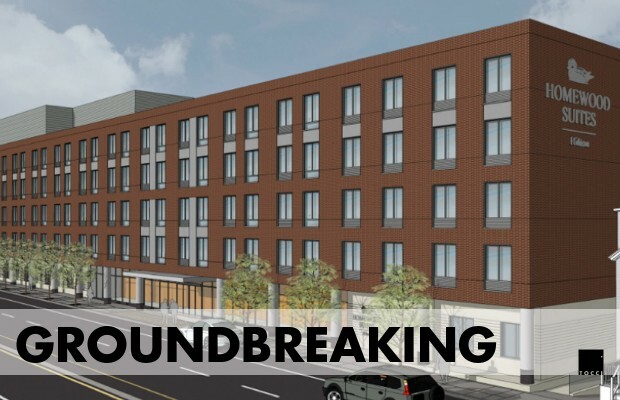 Tocci will develop a Building Information Model (BIM) of the Brookline Homewood Suites to coordinate project systems, streamline the construction process, and communicate its mitigation plan to the project team and community. We are excited to manage this unique urban project as it presents complex logistical challenges.Our approach using BIM allows us to sequence every aspect of the project and account for site restrictions, traffic flow, and tight schedules while ensuring optimal project execution.